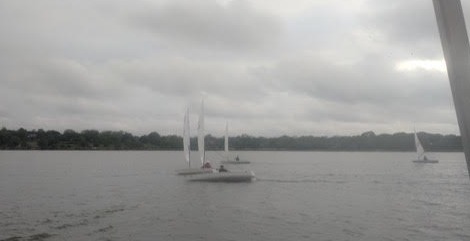 The Next District Laser Regatta is 9/10 at Conroe Yacht Club. We have several people travelling to the regatta. The Easter Laser Regatta hosted by the Austin Yacht Club was a very fun event. The weather provided a variety of conditions. 21 full Lasers and 9 Laser Radial Rigs competed in the two day, 8 race regatta. Winds on Saturday were medium out of the South. The races were about 45 minutes in duration. The Dallas Laser Fleet represented itself well. The second day brought a 180 degree shift with winds out of the North and the velocity ranging from 20 to 25 knots with gusts up to 30 knots. The challenges were daunting. Half the fleet retired after the first race. The race committee continued running the races until we completed three very challenging races. The results are posted on Fred Shroth’s website. DLF had three out the top five and six out of the top 12. Skylar dominated in all conditions to easily take first overall in style. Alex and Jody managed a 4th and 5th overall, Griffin 7 B with Bruce and Forest 11th and 12th respectively. Complete results are also posted. Check the schedule for your next opportunity to be Race Committee on Wednesday night. We had about 12 show up for the first scored Wednesday night race. Unfortunately we had to abandon the races due to an impressive display of lightening and high winds. We retired to eat dinner nearby and tell great stories and listen to Brigg sing a few rap songs. After dinner and sunset about five decided to go out for a nice smooth evening of Laser sailing. It was truly a blast to sail in star light. Come sail with us. The weather is amazing and the camaraderie is spectacular. Sail Flat, Sail Downwind, Sail Fast, Sail Lasers!!!! February ended after 29 days of great weather and some fun sailing and the best race committee duty ever! We are having great weather! 2016 is off to a great start for Sailing! We have a time change to the start of Saturday races. They will start at 10:30AM. We have had nice participation. Please note the change in time – we don’t want to start without you!!! Daylights savings time is March 13th. The first Laser Wednesday night race will be March 16th. The scored series will begin March 30th. The Regatta schedule is out! Please save these dates. We will have several members going to these regattas. Let us know if you plan to attend and we will work on establishing a Laser caravan. Not quite as easy as Uber but much more fun! The Month will be capped by the Austin Yacht Club Easter Laser Regatta. 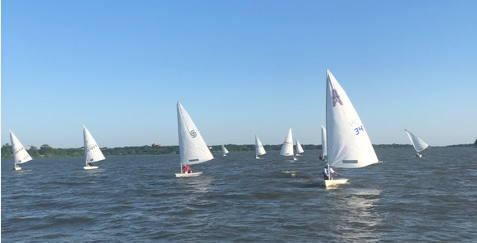 Several Dallas Laser Fleet Members plan to attend the regatta. It is worth the trip to sail in a big fleet of very friendly and competitive Laser Sailors. This is a good year for Lake Travis since the lake level is up to normal elevation. Let us know if you are going to the regatta! By the way we had four Lasers (Alex, Eileen, Bryan and Jody) out on the lake on the 2nd for Death Roll practice. With 20+ knots of wind it went very well!!! Practice makes perfect! Remember the races this Saturday, March 6th start at 10:30AM. Sail Flat! Sail Fast! Sail Lasers! March 26/27 Easter Laser Regatta, Austin Yacht Club — DLF had 9 members attend the regatta! 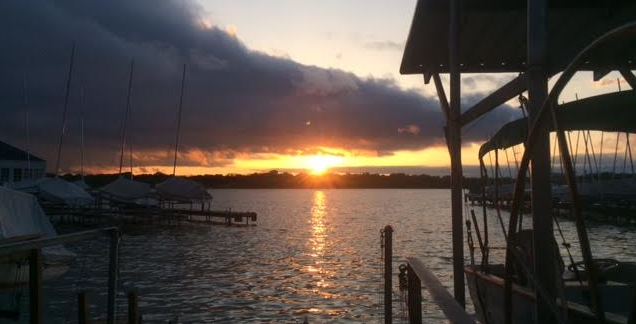 April 9/10 Lake Conroe Regatta, Conroe Yacht Club — Next Up! We have several people going!! !